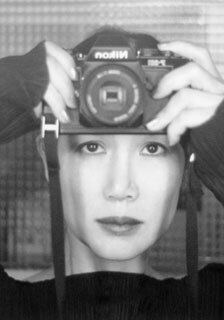 Prof. Xiao Hui Wang (WANG Xiaohui) is an internationally renowned artist who lives and works in both Shanghai and Munich, focusing mainly in photography as well as film, video, sculpture, installation, design, light and media art. She has also made a name for herself as an author. Ten years ago, she began to experiment with "crossover" art and created a number of noted works. Her artwork has been presented in museums and galleries in numerous countries-most of them solo shows. She has received numerous awards for her artwork both at home and abroad. Many of her works are collected by private collectors and public institutions. To date, she has published over fifty books and art catalogues. Her autobiography, My Visual Diary, has been a bestseller for years and won important prizes in China, including the Shanghai Excellent Book Award. It has been republished more than 40 times. She has been a professor at Tongji University in Shanghai since 2003, where she founded the Xiao Hui Wang Art Center. She is a recipient of the Germany-China Friendship Award, issued by the German government. As a Cultural Ambassador, she plays an active role in cultural exchanges, including art projects with the government. She has also been recognized by Hong Kong’s well-known magazine Phoenix Weekly as one of the “Top Fifty Most Influential Chinese Worldwide”. Moreover, she has cooperated with international brands like Richemont Group, Omega (Switzerland), Van Cleef & Arpels, Christofle (France), Montblanc, A.Lange & Söhne, MINI, BMW, Miele, Zwilling (Germany), Johnny Walker (Britain) etc. in various projects. Her recent honors include the International Star Artist Award at St. Moritz Art Masters, Honorary Member of the BFF (German Association of Photographers and Designers), Photographer of the Year by Shanghai Media Group, Artist of the Year by South China Media Group, Most Valuable Female Artist by Harper's Bazaar, a Gorgeous Award for Artists by Jaguar, Most Successful Woman by Hong Kong’s Jessica, Female Role-model, Excellent Designer and Top Ten Leading Icon in the Creative Industry by the City of Shanghai, Artist of the Year by the China Luxury Association, China’s Cultural Pioneer by Vivid Media. She was also voted "Most Sympathetic Artist”by 2.76 million netizens from NetEase.com. The institutions including Xiao Hui Wang Art Center, Xiao Hui Wang Art Museum, Xiao Hui Wang Art Academy, Xiao Hui Wang Art Space were founded in her honor.